Have you seen us on television or in your favorite magazine? 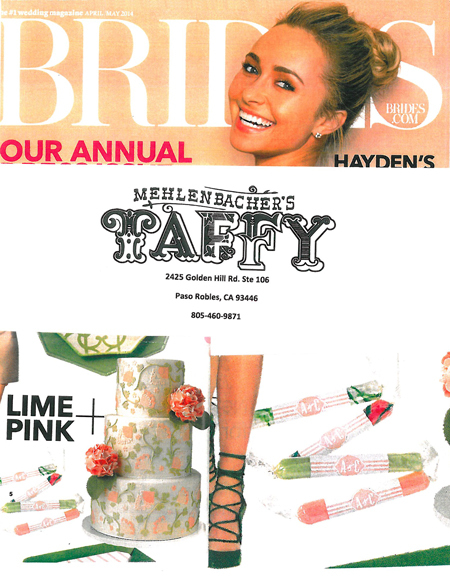 Look for us in the Brides Magazine Spring 2014 issue. 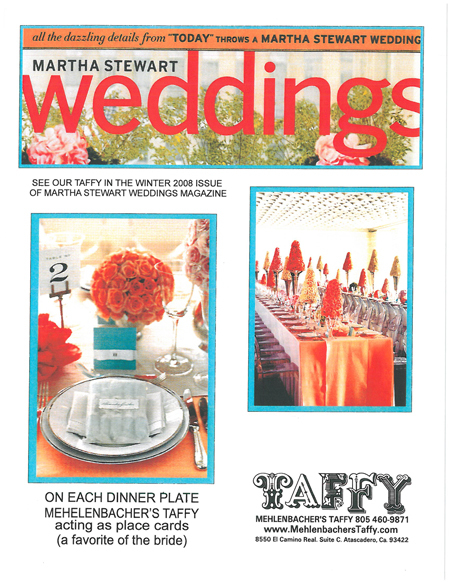 Mehlenbacher's Taffy was a three page feature in a June Wedding issue of Martha Stewart Weddings in the winter of 2008. In the fall of 2007 we were were featured on NBC's Today Show. Film crew from the Today Show shoots a segment on our taffy.